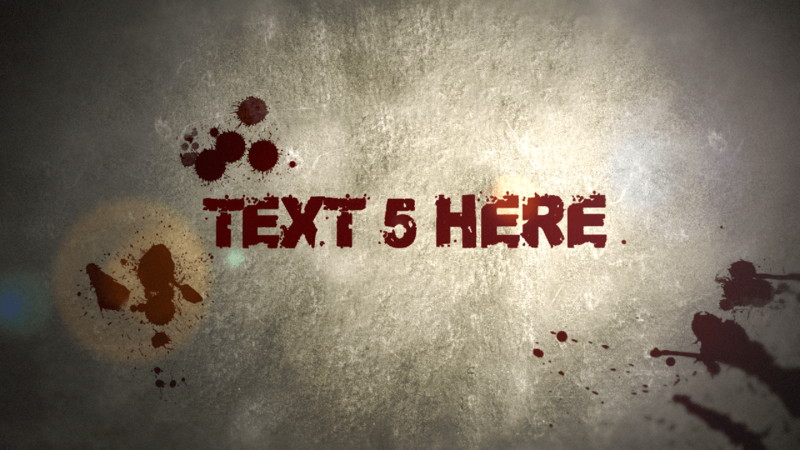 Dynamic cuts and camera shakes move us through this sequence of five customizable texts. 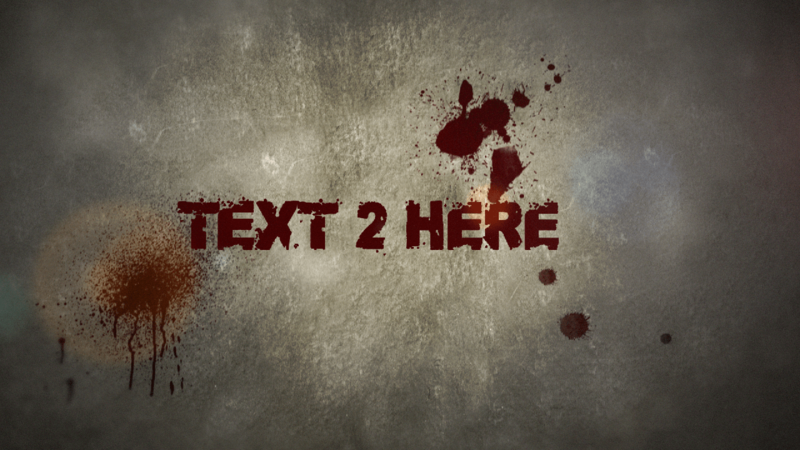 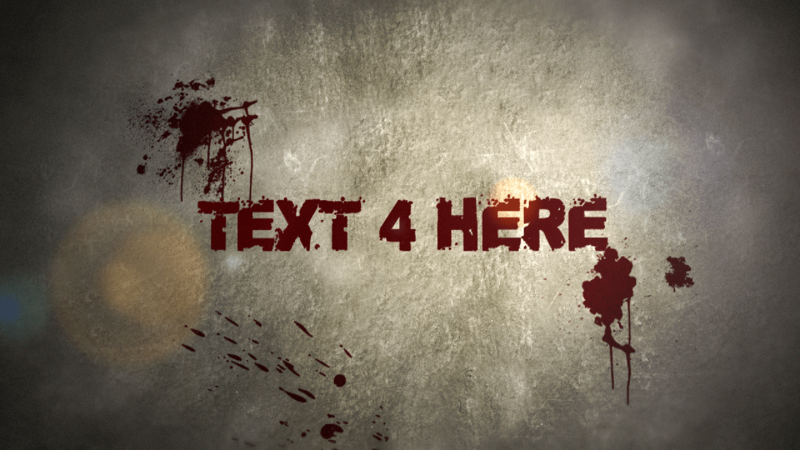 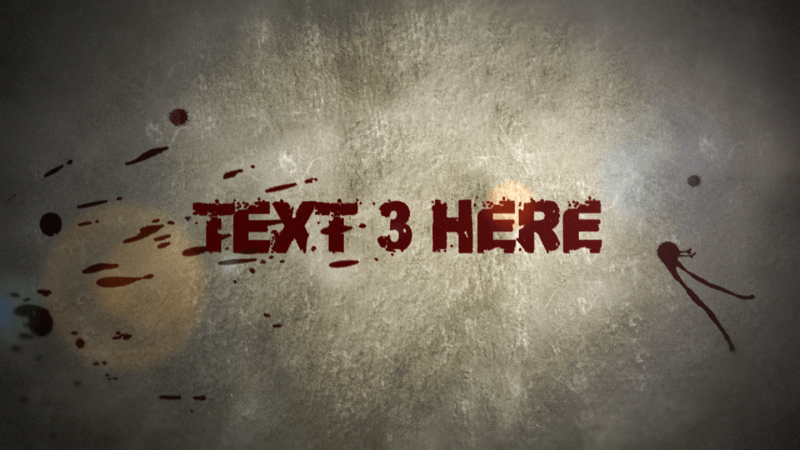 Each text is rendered in blood along with some random splatters against a gritty background. 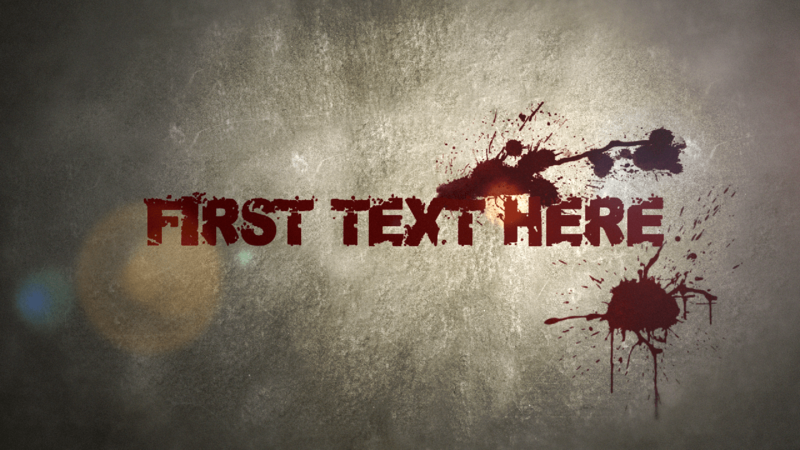 If you're looking for an intro video straight out of something like Fight Club or just back from a zombie apocalypse, you've come to the right place.